Dr. Malvindar Singh-Bains is a Research Fellow at the University of Auckland Centre for Brain Research, currently focusing on brain inflammation in conditions including Huntington’s and Alzheimer’s Disease. Malvindar has been a top-three finalist in both 2015 and 2016 for the University of Auckland Young New Zealander of the year award for her ongoing commitment to promoting brain health and awareness of neurodegenerative diseases including Parkinson’s, Huntington’s and Alzheimer’s Disease. She was awarded the Kiwi Indian Hall of Fame Young Achiever award for 2016 by the Indian High Commisioner to NZ. In 2018 she was named one of the top 5 women in the Health and Science category for NEXT Woman of the Year. This year, she was a recipient of the KiwiBank Hero Award Medal, as well as a nominee for New Zealander of the Year. Malvindar has also been the recipient of two prestigious University of Auckland scholarships for her undergraduate degree and PhD studies; focusing on research into Huntington’s Disease. In 2015 she received a prestigious Fellowship by the Freemasons Foundation of New Zealand to advance the understanding of how Alzheimer’s Disease impacts the human brain. This year, she will be commencing the Leo Nilon Huntington’s Disease Research Fellowship, which is dedicated to the advancement of innovative treatments for Huntington’s disease, a fellowship awarded by the Governor General of New Zealand. 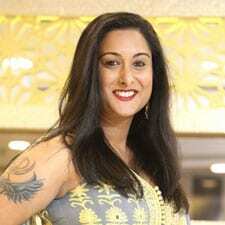 Malvindar has presented her research at the World Congress of Huntington’s Disease held in Rio de Janeiro in 2013, and at the Hereditary Disease Foundation Conference at Boston, Massachusetts in 2014, where she was one of the youngest speakers to give an international platform presentation. Her Huntington’s research has been accepted into one of the top five clinical neurology journals in the world, Annals of Neurology; a major accomplishment for a young kiwi researcher. In 2013, Malvindar co-founded, and is the co-chair of, the Huntington’s Disease Youth Organization New Zealand (HDYO-NZ); a registered charity dedicated to support, educate and advocate for young New Zealanders impacted by HD. In her spare time, Malvindar focuses on promoting positive brain health awareness amongst young people, and has visited several schools over the past decade to help promote the importance of “looking after your brain.” Malvindar advocates for brain health awareness in all communities, ranging from Baptist churches to Sikh Gurudwaras; inclusive of all walks of life. Malvindar is a strong advocate for disseminating scientific information to the public, as evidenced by her long list of public engagements including The NZ Herald, Western Leader, Tearaway Magazine, The Northern Advocate, BBC radio, 95bFM radio, Radio New Zealand 9 to noon, a documentary on TV3 “Both Worlds” and the TV1 Sunday Programme.